Wine Products Archives - Write for Wine: It's Wine O'Clock Somewhere!Write for Wine: It's Wine O'Clock Somewhere! Happy ninth anniversary to Full Pull Wines, an online wine retailer that offers fine wines of the northwest, and other parts of the world, to members of its mailing list. What an amazing nine years of growth it has been for creator and owner Paul Zitarelli, who has also just released a new book, 36 Bottles of Wine. This easy-reading, fun and educational book provides information about 36 bottles of wine (three a month for a year) and recipes for seasonal meals for pairing. 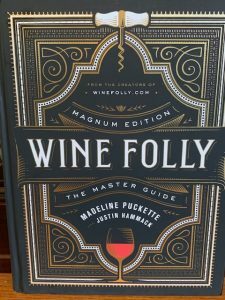 If you want to learn more about wine, or if you’re trying to find the perfect birthday or holiday gift for a wine-loving friend or family member, look no further; this was just released today – Wine Folly Magnum Edition, The Master Guide by Madeline Puckette. If you are in the market for a new wine aerator, look no further. Waerator is an electric, instant aerator, on sale for $59.99 (a $40 savings) with free shipping at Amazon. As wine lovers, we think the price tag is worth the investment. 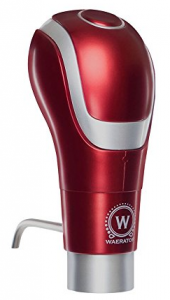 Instead of decanting your red wine for several hours to let it breathe, this just requires a push of a button to open up the wine’s flavors so it tastes fuller and richer. Waerator provides the equivalent of decanting your wine for more than 90 minutes. 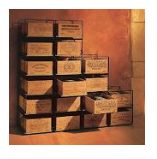 If you are in the Vancouver area and want to find storage space for the wine you purchase in the U.S. — or if you are in Whatcom county and need more storage room for your wine collection — look no further. Border Wine Storage is now open in Ferndale, WA, and is offering “grand opening prices” worth checking out. Throughout 2017, you can store eight cases of wine for $21/month in a temperature-controlled, secure locker, just a 15-minute drive from the B.C./Washington border and a 10-minute drive from the Bellingham airport. Sixteen cases cost $32/month for storage. Other sizes and rates are also available. 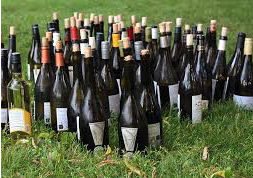 This provides people from the Vancouver area the opportunity to sign up for their favorite U.S., South American or European winery’s private mailing list or wine club, or they can order wine from major online retailers. Wine enthusiasts in Bellingham, Birch Bay, Semiahmoo, Blaine, Ferndale and Lynden might also enjoy the convenience of extra storage space for their wine collections. Locker access seven days a week from 7 a.m. to 11 p.m.
More details can be found at Border Wine Storage or by phoning 360.393.4391 (WA) or 604.283.7095 (BC). In the name of transparency, we recently met Chimo, when we first heard of Border Wine Storage, and we have become wine industry friends.